"I felt as the summer went on he actually got better." Following their 2-1 defeat against India, Australia managed to clean sweep Sri Lanka in the two-match series, winning the second Test at the Manuka Oval in Canberra by 366 runs. While Mitchell Starc took the Player of the Match award for his 10-wicket haul, his fellow speedster Pat Cummins became the Player of the Tournament as he was the leading wicket-taker with 14 scalps. He was also the Player of the Match at The Gabba in Brisbane as he ripped the heart out of the Lankans with a 10-wicket haul. The 25-year-old is currently International Cricket Council’s (ICC) number three ranked bowler and also the highest ranked Aussie bowler in the format. 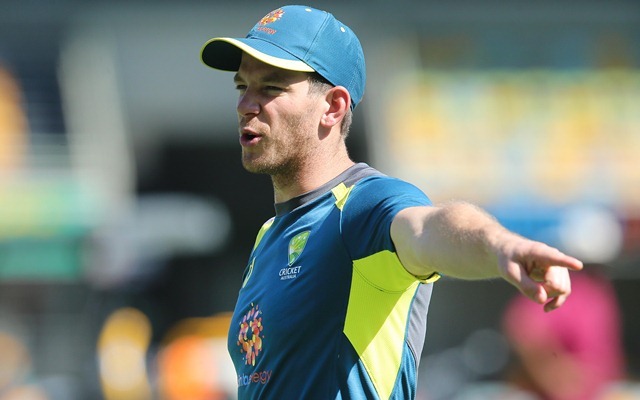 Recently, Tim Paine, the Australian captain, said that Pat is close to being amongst the best bowlers going around. “He’s got to be pretty close to it, isn’t he?. The difference with Pat and those guys is he doesn’t take the new ball. So he bowls at times when the ball’s not doing as much and the wicket’s a bit flatter. I think his ability to get it done in all conditions – whether it’s moving around or not – is second to none,” Paine was quoted as saying in the post-match press conference. In the opening encounter, he reached 90 Test wickets in 19 games and went ahead of the likes of Mitchell Johnson and Glenn McGrath. Only, Jeff Thompson (91) had more wickets than Cummins after 19 encounters. Paine reckons that Cummins has got better as the season has progressed. “I felt as the summer went on he actually got better and better and the more he bowled it felt like the quicker and more accurately he was bowling. I think he’s the fastest Australian (fast) bowler to 90 wickets or something like that. That probably says he’s right up there,” he added. Cummins was impressive even against the four-match series against India. The right-armer notched 14 wickets in four games with a six-wicket haul to his credit at the iconic Melbourne Cricket Ground.